Hearing loss happens. It’s the third most common health problem in the U.S, according to WebMD. Hearing loss is also very treatable – and more successful when started early. If you suspect you have hearing loss, why not find out for sure? If you think you do not have a hearing loss it’s still a good idea to get a hearing test. Say you got into an accident and you know it cause significant hearing loss. If you had a previous test you would have proof of good hearing prior to the accident. Sometimes we find wax blockage, remove the blockage and that was the cause of decreased hearing. A hearing test is painless and takes less than an hour. The Mayo Clinic recommends baseline hearing tests for adults. 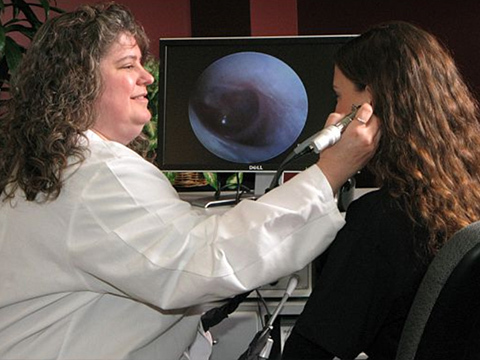 Just like you get your annual checkup you need to include hearing test as part of that checkup. Hearing loss may be an early warning sign or red flag for other health conditions including cardiovascular disease and diabetes. Untreated hearing loss increase your chance of developing dementia. Untreated hearing loss increases your chances of falling. Untreated hearing loss is known to contribute to depression and social isolation. Treating hearing loss with hearing aids is proven to reduce the risk of cognitive decline. Also, treated hearing loss has been shown to improve earning power. At Accurate Hearing, we offer FREE hearing test along with free cookies and coffee. You have everything to gain and nothing to lose by getting your hearing tested. Call 907-644-6004 to setup your free hearing test.